This year’s event, which is themed as a modern mid-century cocktail party, will once again include tastings of unique bourbons, bourbon cocktails, and bourbon-infused treats from 21 different distilleries. Attendees will also enjoy live music, appetizers and desserts, a silent auction with one-of-a-kind bourbon experiences and rare bottles of whisky, and the opportunity to mingle with other bourbon enthusiasts, Master Distillers and other bourbon celebrities. In its first four years, the Bourbon Mixer raised over $87,000 in total for various local charities. 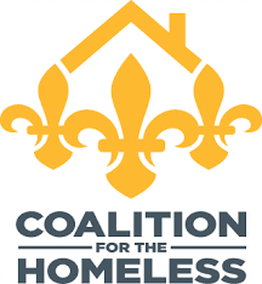 Organizers are announcing that from now on, proceeds raised at the event will go to support the Coalition for the Homeless a 501(c)3 nonprofit organization with a mission to prevent and eliminate homelessness. “We’re very excited that the money raised from this year’s event will push the cumulative funds raised beyond $100,000. That has made a very real impact to people the community,” said Bruce Corwin, Founder Bourbon Brotherhood. Participating distilleries at the 2018 Bourbon Mixer include. The 2018 Bourbon Mixer takes place August 25, 2018 from 6:30pm-10:30pm at The Henry Clay, 604 S 3rd St, Louisville, KY 40202. Tickets for this year’s event are $125 each. For more information and tickets please visit BourbonMixer.com.